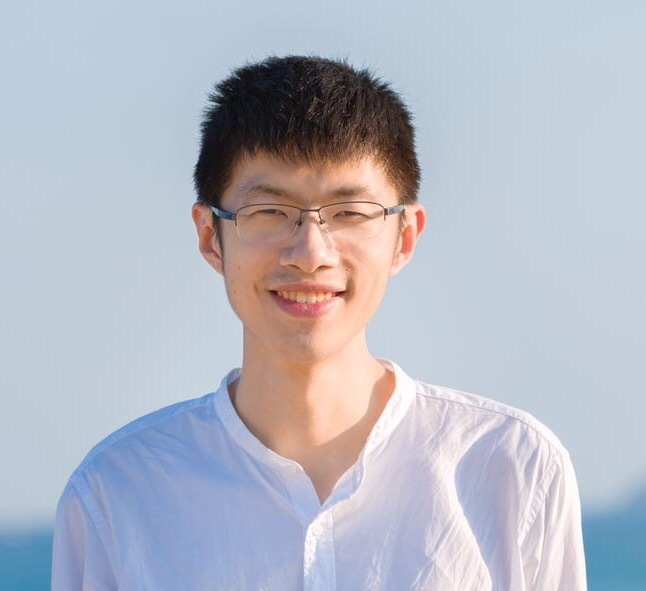 I am an associate professor of Computer Science and Technology at Zhejiang University. My research focuses on mining deep knowledge from large-scale social and information networks. I obtained my Ph.D. degree from Tsinghua University in 2016, advised by Jie Tang and Juanzi Li. During my Ph.D. career, I have been visiting Cornell University (working with John Hopcroft) in 2012, and University of Leuven (working with Marie-Francine Moens) in 2013. I also fortunately have Yizhou Sun from UCLA as my external advisor. For more detailed personal information, please refer to my CV. [Jan. 2019] Our paper "How Do Your Neighbors Disclose Your Information: Social-Aware Time Series Imputation" is accepted by WWW 2019. [Jan. 2019] Our paper "What Makes a Good Team? A Large-scale Study on the Effect of Team Composition in Honor of Kings" is accepted by WWW 2019. [Jan. 2019] Officially promoted to Associate Professor, effective December, 2018. [Jan. 2019] Giving talks at Peking University and Tomorrow Advancing Life (好未来). [Dec. 2018] Giving a talk at East China Normal Univeristy. [Aug. 2018] Host tutorial and data mining forum at SMP 2018. Download the slides of all talks here. I am looking for highly-motivated students to work with me. If interested, please drop me a message by email. Graph embedding, also known as network representation learning, aims to learn the low-dimensional representations of vertexes in a network, while structure and inherent properties of the graph is preserved. Our research mainly focuses on learning representations for social networks. 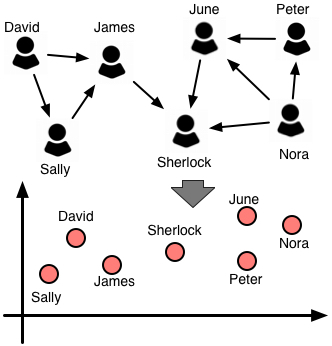 Comparing with other networks, social networks have unique properties. For example, social networks are dynamic and evolving over time, caused by user interactions and unstable user relations. We study how to preserve both structural information and temporal information of a given social network, by modeling triadic closure process (Zhou et al., AAAI'18). In particular, the general idea is to impose triad, which is a group of three vertices and is one of the basic units of networks. We model how a closed triad, which consists of three vertices connected with each other, develops from an open triad that has two of three vertices not connected with each other. This triadic closure process is a fundamental mechanism in the formation and evolution of networks, thereby makes our model being able to capture the network dynamics and to learn representation vectors for each vertex at different time steps. Besides, social networks are scale-free: vertex degrees of a social network follow a heavy-tailed distribution. Is it possible to reconstruct a scale-free network according to the learned vertex embedding? We first theoretically analyze the difficulty of embedding and reconstructing a scale-free network in the Euclidean space, by converting our problem to the sphere packing problem. Then, we propose the "degree penalty" principle for designing scale-free property preserving network embedding algorithm: punishing the proximity between high-degree vertexes. We introduce two implementations of our principle by utilizing the spectral techniques and a skip-gram model respectively (Feng et al., AAAI'18). An unprecedented human mobility has driven the rapid urbanization around the world. In China, the fraction of population dwelling in cities increased from 17.9% to 52.6% between 1978 and 2012. Such large-scale migration poses both significant challenges for policymakers and important questions for researchers. To understand the process of migrant integration and help more migrants to realize their urban dreams, we have some exciting ongoing work. 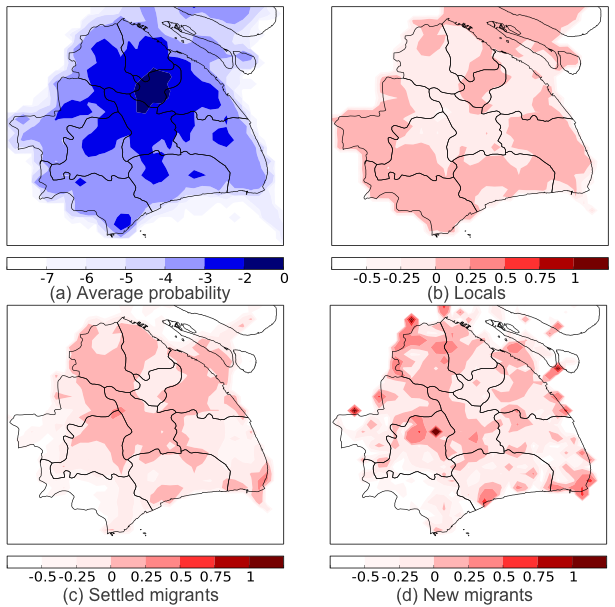 We first employ a user telecommunication metadata in Shanghai and study systematic differences between locals and migrants in their mobile communication networks and geographical locations (Yang et al., AAAI'18). By distinguishing new migrants (who recently moved to Shanghai) from settled migrants (who have been in Shanghai for a while), we demonstrate the integration process of new migrants. Moreover, we investigate migrants’ behavior in their first weeks and in particular, how their behavior relates to early departure (Yang et al., WWW'18), by further employing a novel housing price dataset. We hope that our study can encourage more researchers in our community to examine the problem of migrant integration from different perspectives and eventually lead to methodologies and applications that benefit policymaking and millions of migrants. Our more computational social science studies are coming! Xinyang Jiang, Siliang Tang, Yang Yang, Zhou Zhao, Fei Wu, and Yueting Zhuang. Detecting Temporal Proposal for Action Localization with Tree-structured Search Policy. In Proceedings of the 25th Conference on ACM Multimedia (ACM Multimedia'17), 2017, pages 1069-1077. See also the United Nations Global Pulse post about this work. WSDM 2019 (awarded as Outstanding PC), KDD 2019, AAAI 2019, KDD 2018, WWW 2017, WSDM 2017, CIKM 2017, ICWSM 2017, WSDM 2016, CIKM 2016, ASONAM 2015. When not doing research, I clear my mind by playing Magic The Gathering (a world-wide trading card game). I won a Pro Tour Qualifier Tournament in 2014.